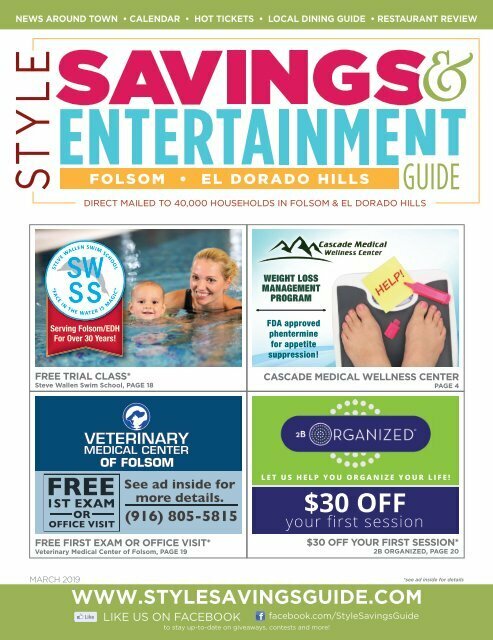 The STYLE Savings & Entertainment Guide includes everything you would expect from a great savings guide; a table of contents that allows readers to find exactly what they are looking for, coupon ads and fantastic savings from area businesses. Page 26 and 27: SUPER SAVERS www.stylesavingsguide. Page 28 and 29: SUPER SAVERS www.stylesavingsguide. Page 30 and 31: SUPER SAVERS www.stylesavingsguide.